Immaculate Maintenance free RANCH on Golf Course. No need to shovel or cut grass any longer. 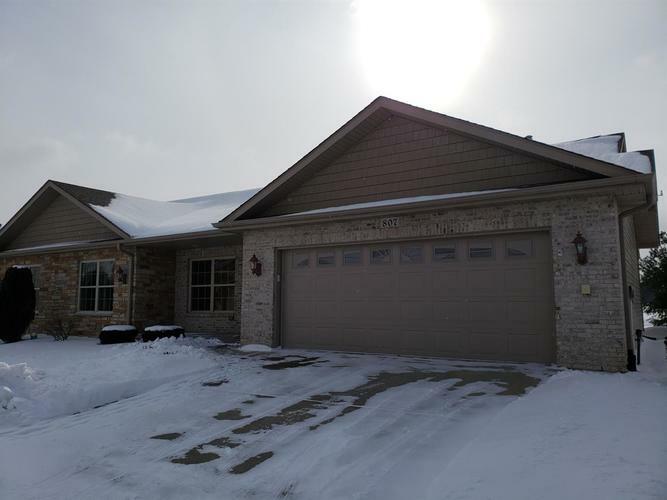 This sun-filled, Move-in Ready home features 3beds/2baths, oversized 2.5 car garage that fits full size truck plus room for a golf cart or additional storage. Special features include plantation shutters, open concept layout, vaulted ceilings, stainless appliances, ceramic tile and pristine carpet throughout. Master bedroom features large walk-in closet and private bathroom. Easily convert the office into the 3rd bedroom. Never be bored in this location, conveniently located to walking paths, CP shopping, restaurants and golf course. Schedule your showing today! Directions:From Main St. west on Summit to White Hawk Dr., follow north to Silver Hawk Dr., right on Veterans Lane townhouse located towards end of street on right side.